All Ohio Networking & Happy Hour event! 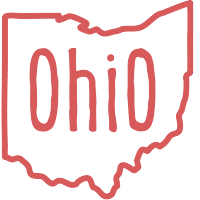 Whether you are searching for a new job, want to promote your business, or are just looking to connect with other Ohio alumni in the area, we have the perfect event for you! Please join us from 6-8 p.m. on Wednesday, October 24th at Fitzgerald’s in Uptown Charlotte for an All-Ohio Networking and Happy Hour Event. The Charlotte Buckeyes have worked with other local alumni leaders to plan and promote this first-time event. Come hang out with alumni from Ohio University, University of Cincinnati, University of Dayton, Miami of Ohio, Xavier University and more! Wear your school colors and bring anyone you know who went to college in Ohio! Don't forget your business cards! We'll be at the top bar. Drink specials include $3.50 draught beer. Parking is free after 5 p.m. in the Wake Forest University Charlotte Center parking garage. Bring your ticket into Fitzgerald's for validation. This event is free to attend, but if you know you will be there, please RSVP to president@charlottebuckeyes.com by Monday, October 22nd.